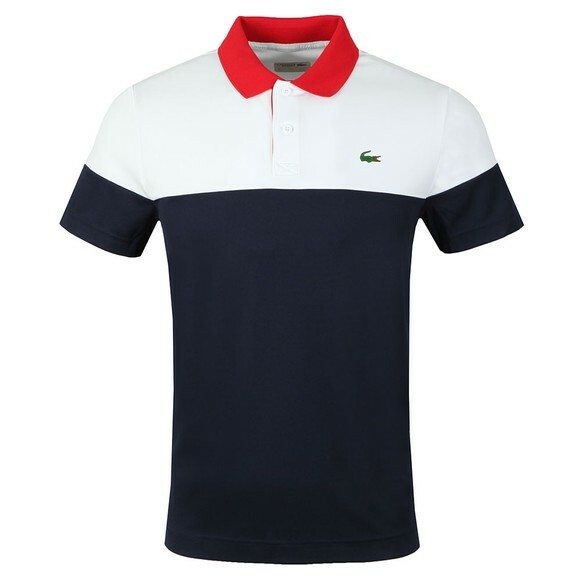 Lacoste Sport DH3399 Polo in Blanc Blue Mrine. 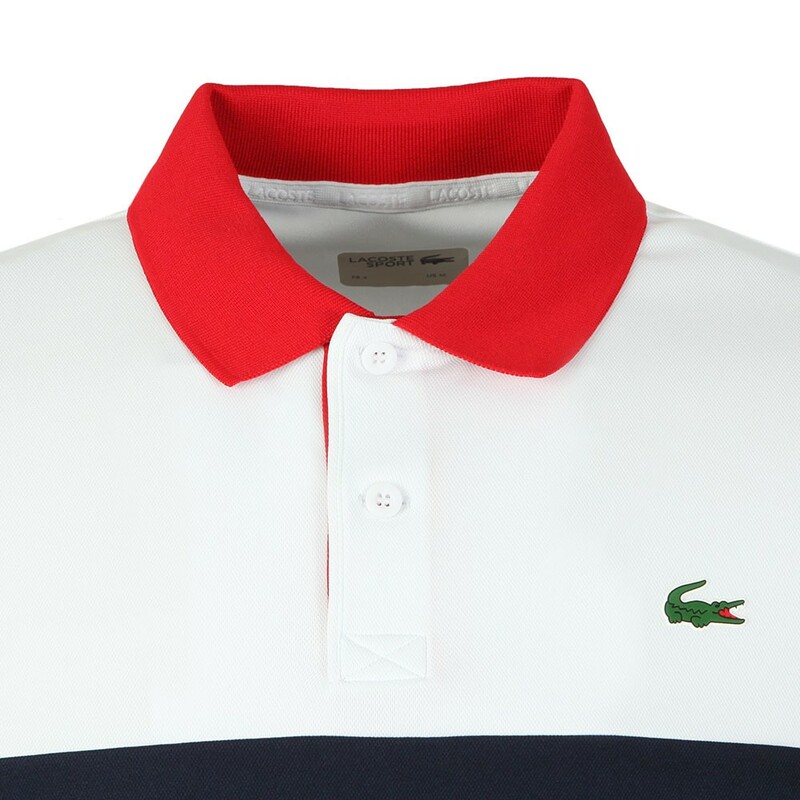 A colour block style polo shirt with a contrast coloured collar and two button placket. 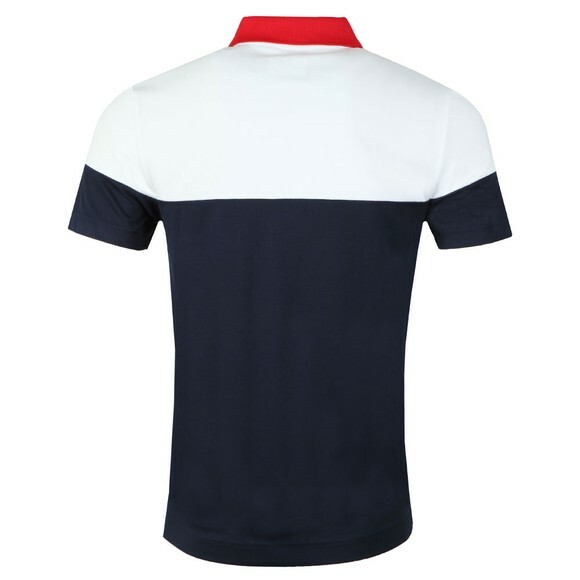 Cut in a regular fit and given a stretch property to the material. A Lacoste crocodile logo finishes the polo.